Ajax security systems provide security for more than 100,000 people increasing the chances of saving money, property, health, and even life. We have created a comprehensive solution for indoor security; Ajax is the most titled security system in Europe today. We are ready to move beyond the premises now and to ensure the consistently high quality protection of the adjacent areas. 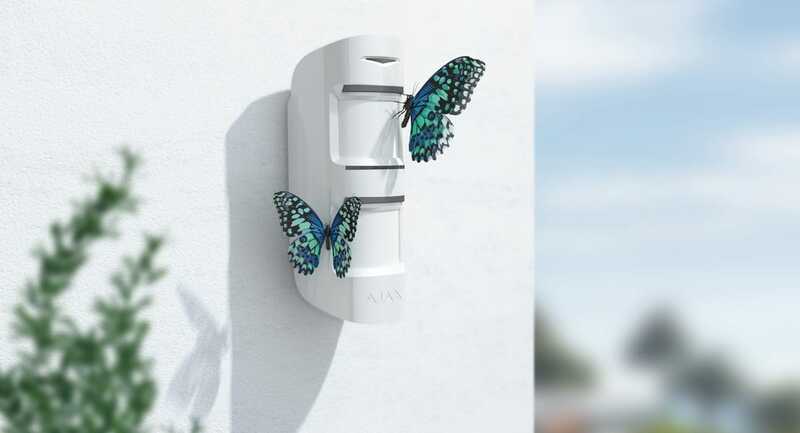 The new range of Ajax outdoor security devices is represented by MotionProtect Outdoor — a motion detector with a two-phase algorithm for protection against false triggering, pet immunity, and an advanced anti-masking system. The most reliable solution for professional monitoring of areas. The security market in Western Europe differs significantly from that in Eastern Europe — a significant part of the population lives in private houses and townhouses. Traditionally, the development of a security system starts with the adjacent territory: in order to frighten off the robbers with sirens upon approaching the house, protect the property located on the territory, and provide the residents with a few valuable minutes in case of a night invasion. The lack of outdoor security devices in the Ajax range was a major obstacle to full-scale expansion in the region. We responded quickly by releasing the integration module Transmitter. It enabled the connection of the Ajax via the Jeweller radio technology to the third-party wired detectors, including outdoor ones. The module, albeit provisionally, solved the problem, and its sales confirmed the demand for the outdoor protection function in the Ajax security systems. However, the beginning of the development process was preceded by another stage. We asked the security market professionals and found out how they see the perfect outdoor motion detector. Everyone said that the operation accuracy was the first priority. Even the best devices of this class had false triggering resulting in futile rides of police and rapid response teams as well as wasted nerves of the residents. The problem is so serious that some security companies refuse to connect outdoor detectors to the Central Monitoring Stations unless there is also a video surveillance system to determine the cause of the alarm. Absolutely accurate motion detection system. Our detector should react only to real threats when working even in the most difficult conditions — false triggering is excluded. The highest-level anti-masking and vandalism protection. Whatever happens to the detector (masking, tampering, theft), the user and the security company must be informed. The continuity of the Ajax key features: huge communication range, years of operation from bundled batteries, alarms transfer in 0.15 seconds. We have made prototypes of outdoor detectors with different types of echelon lenses and motion detection systems with one or two IR sensors and an auxiliary microwave sensor. We have equipped the devices with video cameras and placed them in different climatic conditions in the characteristic locations: residential area of the city, industrial zone, and suburban area. Thanks to the MotionProtect series of detectors, we discovered the typical interferences in the rooms and were able to successfully filter them with the SmartDetect digital algorithm: sun glints, streams of hot air, and pets. However, there are many times more potential causes of false triggering outdoor. 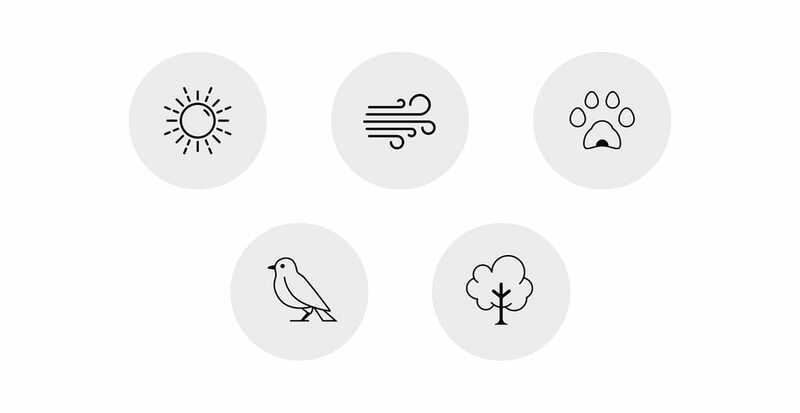 Leaves of trees and plants heated by the sun, birds flying through the field of view of the detector, insects, that sit on the lenses, pets strolling through the area, the scorching sun, unpredictable gusts of wind do not represent a complete list of events that can confuse an ordinary outdoor motion detector. We have collected a huge array of data whose careful analysis allowed us to determine the specifics of the signal for all typical outdoor events. Prototype tests gave a decisive answer to the question regarding the motion detection system that should be used in MotionProtect Outdoor. Despite the popularity of outdoor detectors with IR and microwave sensors, this solution did not suit us. The microwave sensor effectively insures against false alarms at a distance of up to 8 meters. 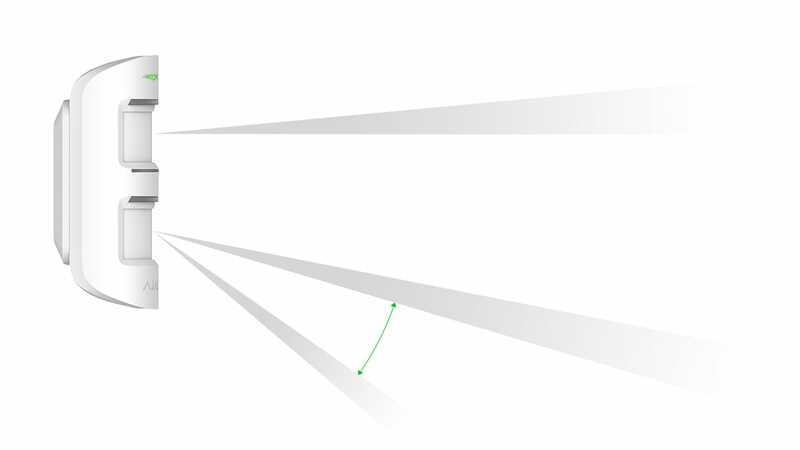 This is the critical distance, which provides a sufficiently characteristic signal reflected from a moving person to distinguish it from natural interference signals. In addition, the motion detection range could be adjusted only by changing the installation height or tilt of the device, which compromises the quality of operation or completely deprives the detector of pet ignoring function. A system of two IR sensors was the most effective one for MotionProtect Outdoor. Due to different directivity of the lenses, the detector receives enough information about what is happening in the field of view to screen out 100% of false alarms during the analysis and not to react even to large pets with height up to 80 cm. The variable viewing angle of the lower lens allows one to set the motion detection range within 3~15 meters. Most motion detectors with IR sensors count pulses, which is a simple method: a dozen of pulses raise an alarm. However, this method is unreliable since completely different events can trigger similar signals under certain conditions. We have used a more sophisticated signal analysis system. 1. 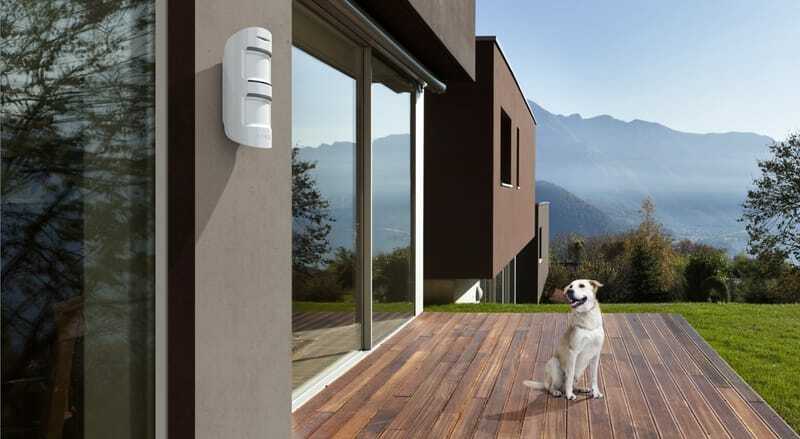 MotionProtect Outdoor raises the alarm only if both sensors react to the movement — this is the first stage of protections against false alarms. 2. The signals of two sensors are analysed by the SmartDetect algorithm modified with allowance for the specifics of outdoor interferences, and then the waveforms are compared. At this stage, the MotionProtect Outdoor determines a person in a 100% of events and the probability of false triggering is relatively low. This is the second stage of protection and we could stop at that, but we needed absolute reliability. 3. The spectral analysis was the third barrier. 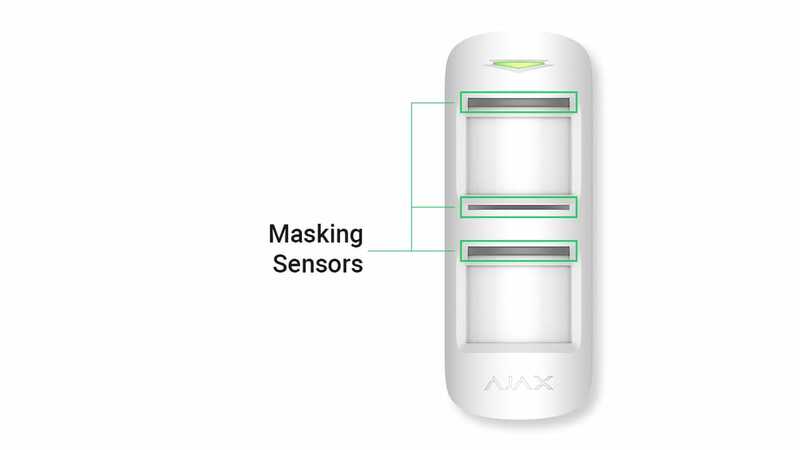 The algorithm for comparing the frequency components of the signals of two sensors is unique for security devices — this is the know-how of the Ajax Systems that guarantees 100% accuracy of MotionProtect Outdoor. 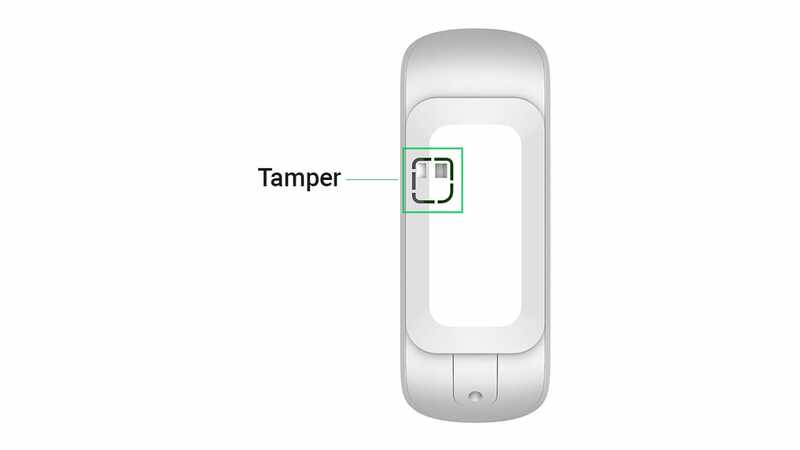 It is inexpedient to start the process after every motion detection since complex calculations would reduce the detector battery life to 2 years. Therefore, we connect it only if we are not completely confident in the cause of triggering during the analysis of the similarity of signals. An unparalleled two-phase algorithm that detects a person from the first step does not give false triggering and provides the battery life of up to 5 years for the outdoor motion detector from two bundled batteries, was named LISA: Live Intelligent Spectrum Analysis. 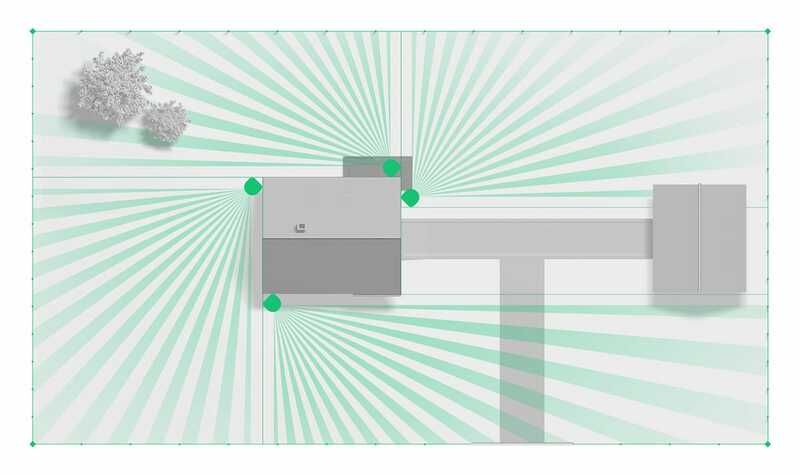 Having solved the problem of the motion detection system accuracy, we concentrated on the MotionProtect Outdoor body. An outdoor installation significantly increases the possibility of sabotage: a disarmed device can be covered with a cloth, lenses can be glued or painted, and even a body can be varnished. Moreover, an intruder can try to detach it from the mounts, open and damage the electronic components or simply break it with something heavy. A reliable sensor must either deal with the threat or report the problem to the users and the security company. The MotionProtect Outdoor body is made of durable plastic and is equipped with a tamper that detects the opening or attempt to detach it from the SmartBracket mounting panel. The MotionProtect Outdoor anti-masking system conforms to Grade 3 security standard EN 50131: “ready to confront intruders with professional skills and knowledge”. In addition, MotionProtect Outdoor has rain and dust protection (IP54 level), can operate in humidity conditions reaching 100% at temperatures from -25°C to +60°C. Since the capacity of lithium batteries and, consequently, detector independence are significantly reduced during severe cold conditions, we have provided for the feasibility of connecting an external 5~28 V power source. 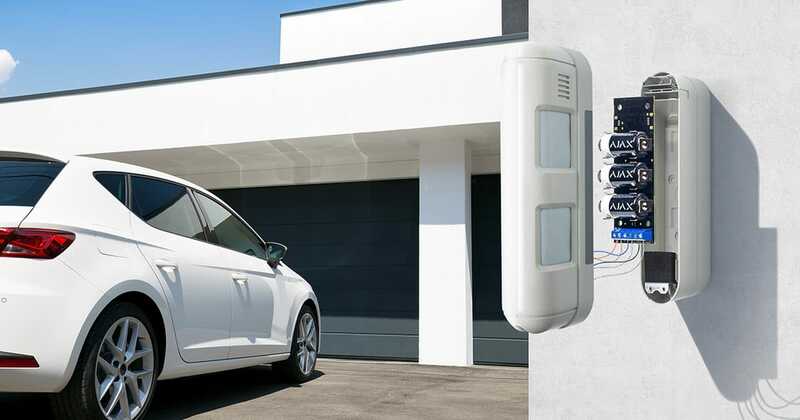 The wireless performance of MotionProtect Outdoor is also at a decent level — the Jeweller radio technology allows the hub to maintain two-way communication with the detector at distance up to 1,700 meters; alarms are transferred in 0.15 seconds. MotionProtect Outdoor motion detectors have been successfully tested in different climatic conditions, ensuring the safety of sites in Ukraine, Malaysia, Finland, the Netherlands, Denmark, Italy, Spain, Greece, and the Balkans. You can order MotionProtect Outdoor detectors from the Ajax Systems partners right now.